This National Oceanography Centre (NOC)-led, joint science-industry project was launched by Dr Daniel Jones at a workshop in Ocean Business – the second largest trade show in Southampton’s annual calendar, hosted by the NOC. The decommissioned oil structures can have positive impacts, such as providing a habitat for marine life in a similar way to a reef, or negative consequences - such as marine pollution. 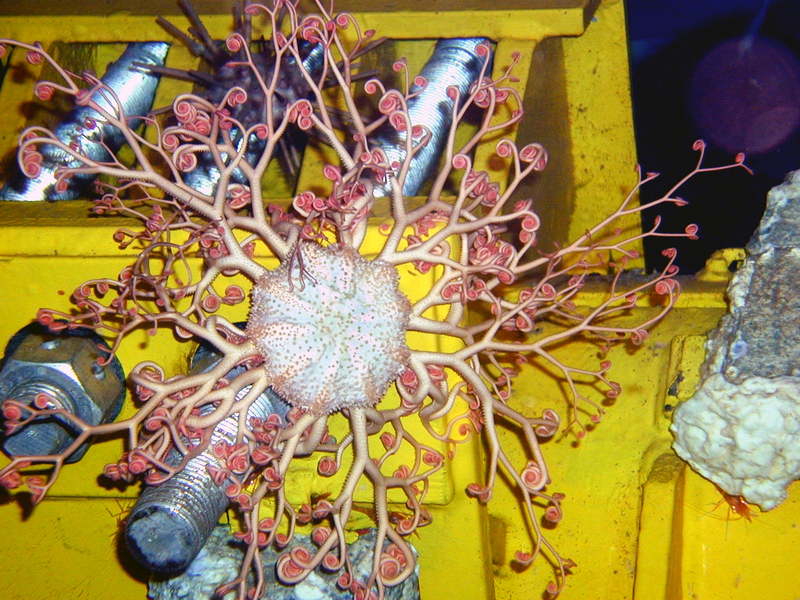 In the North Sea, for example, structures are rapidly colonised and typically develop highly productive ecosystems that often include priority species, such as the cold-water coral Lophelia pertusa. On the other hand, large piles of oil-enriched sediments lie underneath many oil and gas installations. The environmental impacts of these piles are not well known, nor are the relative impacts of re-disturbing partially recovered systems while removing structures. Marine robots, such as those developed at the Southampton based Marine Robotics Innovation Centre, have great potential to investigate these impacts. Policymakers face a difficult challenge - the ecological role of structures needs to be assessed as part of the environmental impact assessment required for decommissioning. However, there is no standard approach for making these assessments and current assessments have not led to clear conclusions. This one year project will help industry transform how they approach monitoring by using autonomous systems to provide a low-cost, high-quality solution for repeat assessment. This project is funded by the Natural Environmental Research Council (NERC). Click here for the latest news, images and videos from the show.